In his most recent article for the Huffington Post, Harry Boyte, senior scholar in Augsburg College’s Sabo Center for Democracy and Citizenship, argues in favor of a relationship-based model for engaging students in democratic society. Boyte refers to the “organizing” versus “mobilizing” model pioneered by civil rights leaders such as Ella Baker and Bob Moses. In this view of activism, mobilizing is goal-driven and short-lived, while organizing is relationship-driven and sustains engagement over time. Boyte draws a parallel between these different types of activism and educational approaches that focus either on outcomes–such as test scores–or personal growth and agency. 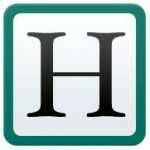 Read: Education as a New Frontier of Democracy at the Huffington Post.